I am a middle-aged, gay man living in the Mid-West and when you are a middle-aged, gay man living in the Mid-West you have to do something. I’ve decided to bake cookies. Lots of them. I needed to raise funds for Kansas City’s AIDS Walk and so I issued a challenge to myself which I posted on my Facebook account. 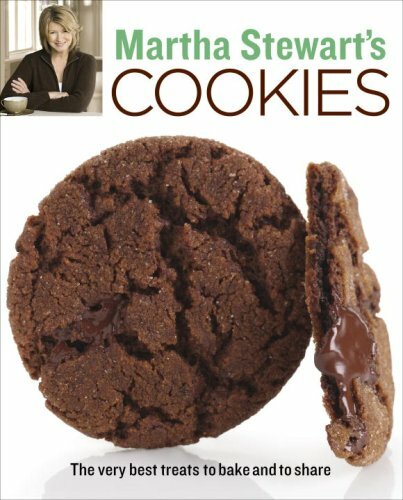 If I could raise $3,000 by the date of the Walk, I would bake my way through Martha Stewart’s Cookie Book – 175 cookie recipes. I raised $3,500 with a month-and-a-half to spare. This blog is dedicated to each of the wonderful people in my life who donated so generously to a very deserving cause. Thank you for sending me to cookie hell. I cannot promise that the writing in this blog will be inspired , enlightened, or useful in any meaningful way, but after reviewing Martha’s recipes, I can assure you- there will be stories to tell. Feel free to share this blog with your friends. If you hate this blog then share it with your enemies. If you don’t have enemies then don’t start a blog of your own. It would probably be really boring.